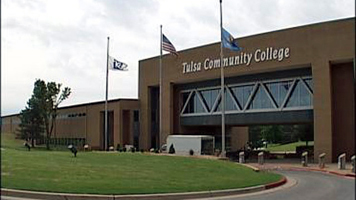 Tulsa Community College and Rogers State University joined together today to make it easier for students to earn their associate degree at one institution and then seamlessly transfer to complete their bachelor’s degree at the other. The framework for the articulation agreements between the two institutions was signed Sept. 3 by TCC President & CEO Leigh B. Goodson and RSU President Larry Rice during a ceremony held at the Thomas K. McKeon Center for Creativity at the TCC Metro Campus. Goodson also noted that TCC ranks 24th in the nation in the number of Associate Degrees it awards among nearly 1,100 community colleges. As a result of the agreement, TCC students may now seamlessly transfer their associate degree to RSU and finish their education with an RSU bachelor’s degree. To start, the institutions have identified 10 associate to bachelor’s degree paths, including many unique to the Tulsa market. Academic officials at both institutions are examining other degree programs that can be included in the near future. Degree fields included as part of this articulation agreement include accounting, biology, business administration, environmental science, health and human performance, history, nutritional science, political science, pre-professional sciences and sport management. 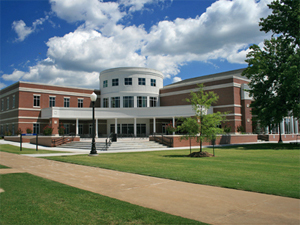 Rice also noted that RSU’s tuition also was recognized last year by U.S. News and World Report as one of the nation’s top 10 lowest, in-state tuition rates. Plentiful scholarships and financial aid packages are available at Rogers State to help students pay for their schooling, including scholarships specific to TCC transfer students. As a result of these scholarships and financial aid, more than a third of RSU’s graduates in 2013 were able to earn their bachelor’s degrees without taking a student loan. This entry was posted in Local on September 3, 2014 by admin.